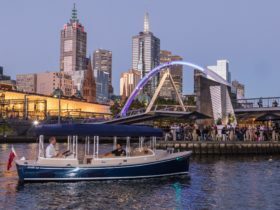 A Victorian Tourism Awards Hall of Fame member, Go West Tours operates small group day tours to the Great Ocean Road, Phillip Island, the Yarra Valley and the Grampians. 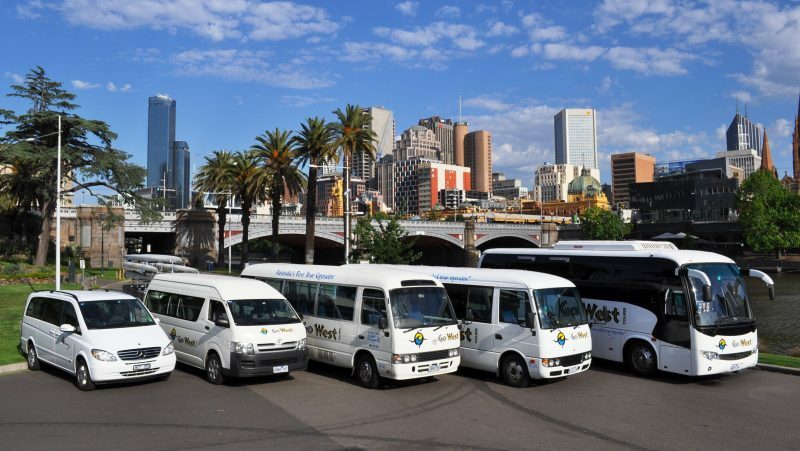 Go West Tours pride themselves on providing truly memorable small group tours. Their guides provide a very interactive and engaging service that is the envy of other tour operators. All day tours include complimentary pick ups from most accessible hotels in the inner city area. The Great Ocean Road is more than just a drive when travelling with Go West, stopping along the way, hearing the stories and getting in touch with nature and Australia’s unique wildlife with an experienced and upbeat guide. Go West Tours’ Yarra Valley Gourmet tour provides a taste of the Yarra Valley’s best food and wine products. 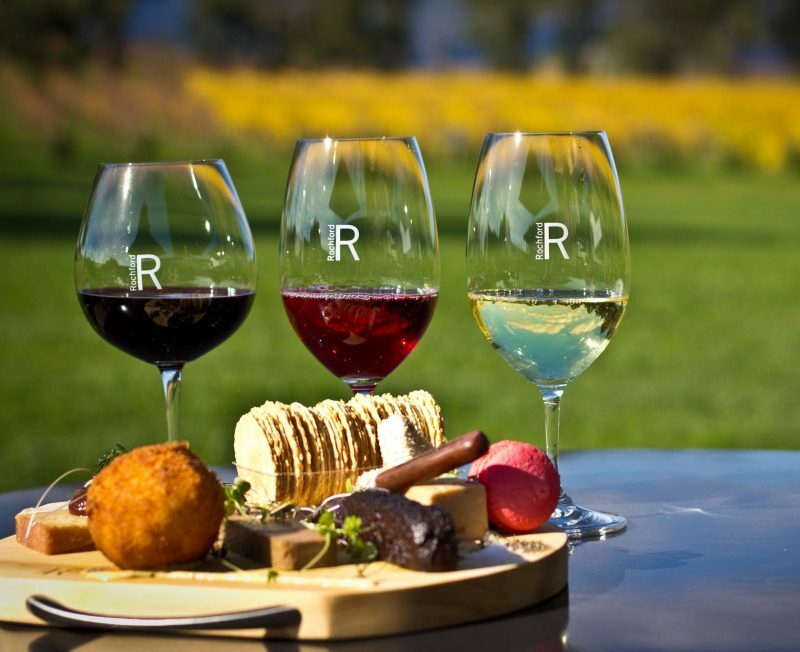 So much more than just a winery tour, you will experience the very best the valley has to offer. Go West Tours is a genuinely innovative tour operator and was the first Australian tour operator to offer a fully mobile personal audio translation service. Guests may download the free Go West App from the App Store or Google Play to receive tour information in any of sixteen international languages. The Yarra Valley is a world-renowned wine growing region. Join Go West and treat your tastebuds to a fine blend of the very best of the region’s other gourmet produce. Departing from Melbourne, the day begins with an exclusive farm gate visit at Yarra Farm Fresh, for a palate-cleansing fruit experience. Yarra Farm Fresh brings the best of the valley’s fresh produce to their farm gate. Next, travel to one of the area’s true icons, De Bortoli Wines where you will enjoy a tasting from their extensive range of quality wines. Then continue to the Yarra Valley Dairy, where your tastebuds will be working overtime tasting the region’s most stunning cheeses. After lunch you will make your way to one of Australia’s great wineries and member of the Australian Tourism Hall of Fame, Yering Station, where you will have a wine tasting. 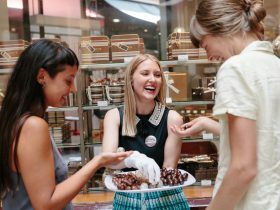 You will also get the chance to visit an amazing chocolaterie. 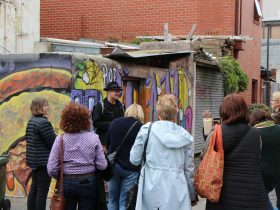 Departing Melbourne, travel first to one of Melbourne’s most colourful attractions, the Brighton Beach Boxes via St Kilda. Take a brief stop here for a wonderful photo opportunity. Next up is the award-winning Moonlit Sanctuary Wildlife Conservation Park to learn about and interact with a wide range of Australian animals. Hand feed kangaroos, emus and wallabies, and find out about the extensive range of conservations programs run here to ensure the survival of numerous less common species including Tasmanian Devils, Southern Hairy Nosed Wombats, and many more. Also included in your visit here is the ‘Conservation in Action’ wildlife show. Explore the rugged coastline at the Nobbies and look out for the offshore seals at Seal Rocks. And then it is onwards to the main event, where just after dark every night the world’s smallest penguins waddle ashore after spending the day fishing out at sea. 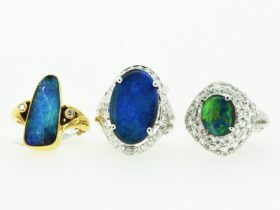 You will be truly enchanted as the stars of the show emerge from the surf and pass right before your eyes on their journey back to their homes. Your guide will ensure you are able to get the very best vantage point to enjoy the nightly spectacle that is the Penguin Parade. 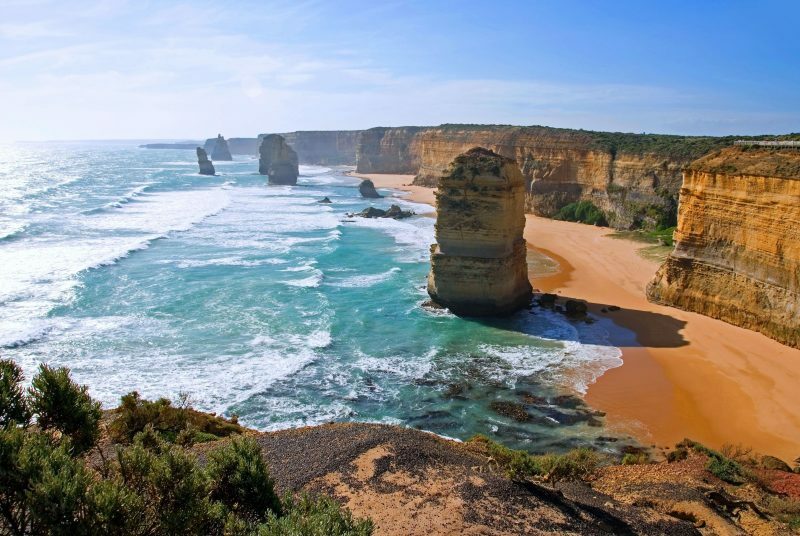 Experience the spectacular Great Ocean Road on a full-day tour from Melbourne with Go West Tours. Your small, personalised eco tour takes you by comfortable minibus along the winding Great Ocean Road. 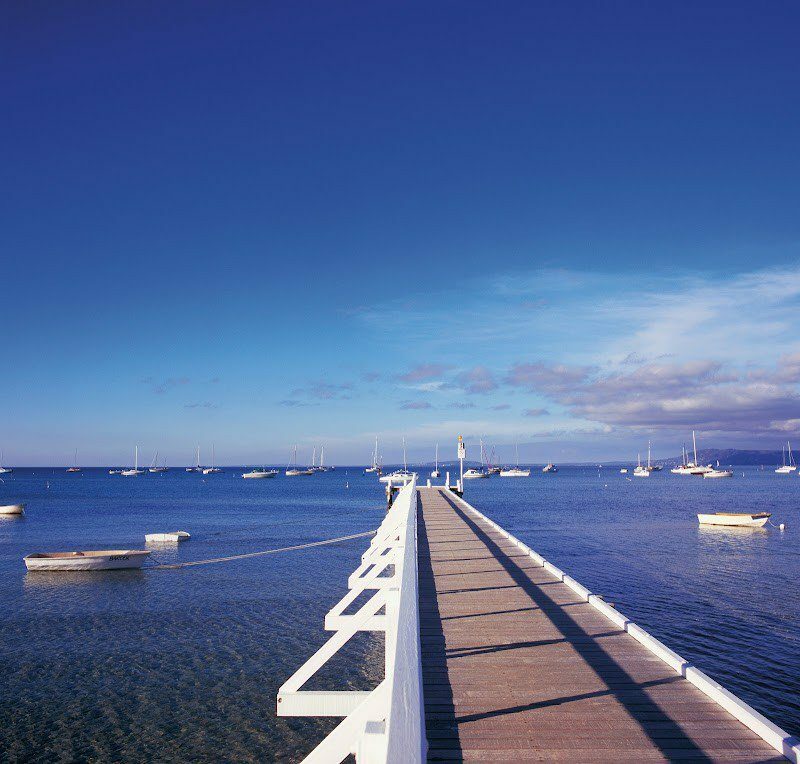 Visit the famous beaches of the Surf Coast before commencing the scenic journey along the Ocean Road. Stop for an array of scenic lookouts, as well as making a visit to the Great Otway National Park to view koalas in their native habitat. Stroll in the ancient cool temperate rainforest at Mait’s Rest before continuing to the world-famous Port Campbell National Park. Wander the boardwalks to view the iconic Twelve Apostles, or perhaps take to the air by helicopter to take in this magnificent stretch of coastline from above. Next visit Loch Ard Gorge, named after the Loch Ard which was wrecked here in 1878 with the loss of 52 lives. Your final destination on is Gibsons Steps, where guests may descend to view two of the area’s famous rock stacks from beach level. Return journey includes a stop for dinner (at own expense) and stunning views of the lights of Melbourne as you cross the West Gate Bridge. The Grampians is a mecca for nature lovers as you experience the best the region has to offer on a full day tour from Melbourne with Go West Tours. Your small, personalised eco tour takes you by comfortable minibus through the western plains of Victoria, on your way to historic Ballarat for the first stop to enjoy morning tea at the Eureka Stockade Memorial in Ballarat. Arriving at the foot of the Grampians Range, get straight into sight-seeing with a short walk to the beautiful Silverband Falls. The town of Halls Gap is the next stop, where you will see kangaroos and abundant birdlife. Continue on to the Wonderland and the Grand Canyon, and be amazed by this rock formation as you take a fascinating walk through the canyon. Next stop is Mackenzie Falls. No trip to the Grampians would be without a visit to these majestic falls. Another stunning photo opportunity awaits at Reeds Lookout, this vantage point overlooks the towering Stringybark Forest and Victoria Valley. The final port of call is the Boroka Lookout. 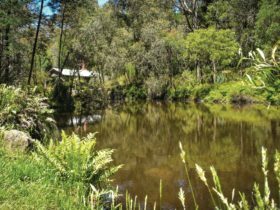 Boroka provides panoramic views of the surrounding region overlooking the town of Halls Gap and further afield to Lake Bellfield and beyond. Go West Tours’ Great Ocean Road Sunset tour departs daily from Melbourne and arrives at the Twelve Apostles in time for guests to experience an unforgettable sunset at this iconic location. Somewhat shorter than their standard Great Ocean Road day tour, this tour will appeal to the traveller who is on a tight time budget but would like to experience the Great Ocean Road with a truly memorable climax.